Interested in a 3-D home tour for the San Diego, Del Mar, Carlsbad or Encinitas home you are thinking of selling? Regardless of where you live in San Diego, if your home is large enough to support a virtual tour (small condos and small spaces just won’t work) and you list it with San Diego Previews Real Estate, a Matterport 3-D Virtual tour may be a way for buyers to explore your home as never before. 3-D virtual tours create an immersive experience and allow viewers and potential buyers to see a home from almost any angle. I played with the Matterport 3-D system last summer at Inman Connect in San Francisco (where I served as an Inman Ambassador), and was so engrossed in the tour that I almost tripped and fell as I zoomed through a room too quickly. The 3-D home tour feels so, so real and is a way for shoppers at a distance to get up close and literally “walk” through the home. This could be a game changer in so many ways. For example, we pay a small fortune to advertise our listings behind the Chinese firewall. 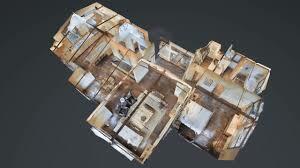 How cool will it be for someone halfway across the world to be able to tour a home in 3-D? We have sold homes, sight unseen, to buyers in Europe and Asia and it can be a nerve-wracking experience for both agent and buyer. How much more comfortable it will be to be able to take that virtual tour through the home–and even the outdoors–before deciding on a distant purchase. This is photography that far exceeds my capabilities, but our professional photographer Austin Ashline with Future Home Photo has both the 3-D technology and the creative skill to produce some amazing virtual tours. If you are interested in listing your home and attracting a wider audience, call Scott or Roberta Murphy at either 760-942-9100 or 760-613-6190 or email scott@sandiegopreviews.com and we’ll discuss the possibilities!